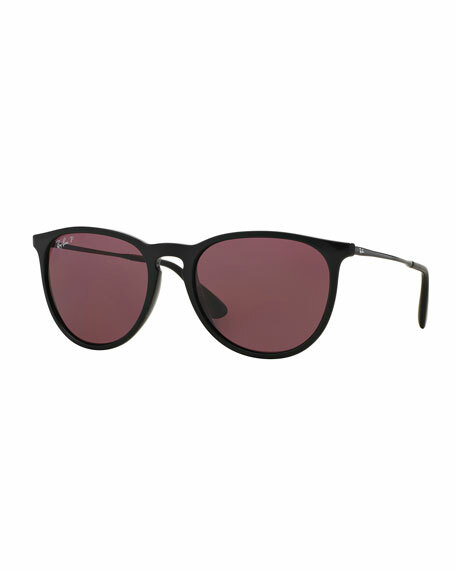 Ray-Ban® round sunglasses, featuring thin temple wires. Plastic and coated metal frames. For in-store inquiries, use sku #1719252.